Is Dhanush's Maari 3 Happening? Actor Dhanush who has several films in his release pipeline like Enai Nokki Paayum Thotta, Vada Chennai and Maari 2. And they all are expected to release within end of this year. 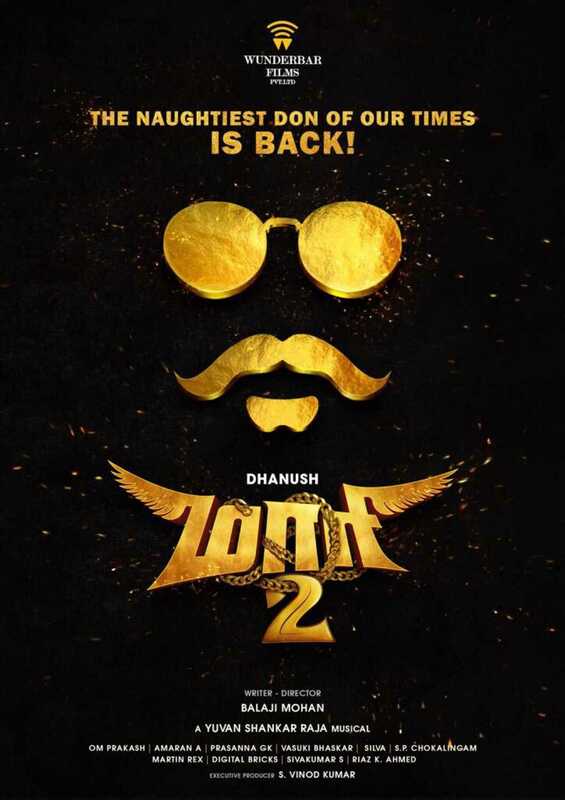 Dhanush who was actively shooting for the sequel to Maari has happily tweeted his exciting experience to play his favourite character and to work with a talented team. And that’s a wrap for #maari2 .. loved being maari once again. Can’t wait to be maari again. A character I enjoy and cherish playing. #tharalocal #senjuruven thank you @directormbalaji @omdop @Sai_Pallavi92 @Actor_Krishna @ttovino @thisisysr Robo and Vinod. The entire shoot has been wrapped up yesterday (10th August). Now the team will move on to work on the post-production work. Film is expected to hit the big screens by this December. Also, the director's tweet about the wrap hints us for a third part to the Maari franchise.